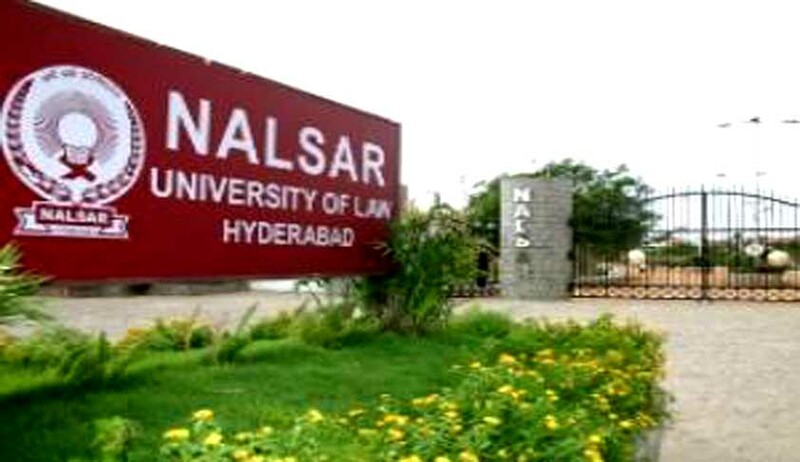 NALSAR offers Post Graduate Diploma courses in Patents Law, Cyber Laws, Media Laws and International Humanitarian Law. The Programme has personal Contact classes from frontline experts of academics, industry, legal fraternity and Regulators has already made a mark for its content delivery and pedagogy. Enrolled candidates can take their exams at Hyderabad and will be backed by updates of course materials through printed material and Web updates. The Course content and deliveries are as intense as that of regular programmes and prepare the candidates for professional assignments. These courses can be taken even by working professionals. Admission Procedure: Interested candidates can submit the duly filled-in form on or before September 30, 2016, along with other enclosures. The Application form has to be downloaded from the website www.nalsarpro.org The last date for submission of the Application form with late fee is October 15, 2016. Selection Process: Direct admission for eligible candidates. Teaching Methodology: Reading Materials - The candidates will be provided with the printed modules of materials prepared by NALSAR Pro. The Modules are prepared by subject experts and will cover the detailed syllabi. In addition Suggested readings of books and titles will be provided. Web Support- The candidates will be provided with the login ID & password to access the website after confirmation of admission to the course Programme. The soft copy of the modules, the power point presentations used during the contact seminar classes and previous year question papers will be uploaded in the website. The access to the website will be deactivated after the completion of the academic year and will be revived on continuation of the course after payment of the continuation fee. Contact Seminar Classes: Contact Seminar classes will be held for two-three days, twice during the course on weekends at Hyderabad. The attendance to contact seminar classes is though not compulsory; the candidates are advised to attend the same, as they are important from examination point of view. Examinations: Annual Examinations for all distance education courses / programmes will be held every year after completion of the course/ year at Hyderabad. Supplementary Examinations are conducted in the month of November / December at Hyderabad for those candidates who could not appear for the annual examination or for those students who could not clear all the papers.